On July 18, 1947, President Harry Truman signed the Presidential Succession Act. The original Presidential Succession Act of 1792 had placed the Senate president pro tempore and Speaker of the House in the line of succession, but in 1886 Congress had removed them. The 1947 law reinserted those officials, but placed the Speaker ahead of the president pro tempore. Throughout most of the nineteenth century, the Senate assumed it was empowered to elect a president pro tempore only during the absence of a vice president. But what should senators do at the end of a session? Since Congress was customarily out of session for half of each year, what would happen in that era of high mortality rates if both the president and vice president died during the adjournment period and there was no designated president pro tempore? For decades, the Senate relied upon an elaborate charade in which the vice president would voluntarily leave the chamber before the end of a session to enable the Senate to elect a president pro tempore. Fearing that the presidency might accidentally slip into the hands of the opposition, vice presidents occasionally refused to perform this little courtesy when the opposing party held the Senate majority. In 1886, Congress replaced the two congressional officials in the line of succession with cabinet officers, in the order of their agencies’ creation. Proponents of this change argued that the Senate elected its presidents pro tempore based on parliamentary rather than executive skills. No president pro tempore had ever served as president, while six former secretaries of state had been elected to that office. 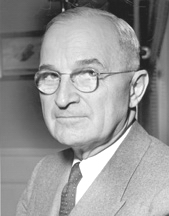 When the 1945 death of Franklin Roosevelt propelled Vice President Truman into the presidency, Truman urged placing the Speaker, as an elected representative of his district, as well as the chosen leader of the “elected representatives of the people,” next in line to the vice president. Since one could make the same argument for the president pro tempore, Truman’s decision may have reflected his strained relations with 78-year-old President Pro Tempore Kenneth McKellar and his warm friendship with 65-year-old House Speaker Sam Rayburn. After all, it was in Rayburn’s ‘hideaway office,’ where he had gone for a late afternoon glass of bourbon when Truman first learned of his own elevation to the presidency. Well-organized and packed with details, the book also includes a bibliography on each executive, including books written by and about them, along with useful and entertaining appendixes on the political composition of every Congress, presidential curiosities (such as the uncanny similarities between the lives and deaths of Abraham Lincoln and John F. Kennedy), and a ranking of presidents. Whether you want to know the opponent of James Monroe in the election of 1816 or read some of Harry S. Truman's more memorable quotes, this is a most complete and thorough reference to each commander-in-chief. It is illustrated with 1,000 helpful photographs and illustrations throughout, and it features selections of the most significant primary documents of each administration, as well as thousands of little-known presidential facts. Whether you're interested in the uncanny similarities between Abraham Lincoln and John F. Kennedy, the shortest president (James Madison), or the members of FDR's first cabinet, The Presidents Fact Book is the ideal resource--for comprehensive research or compulsive browsing.